Today we’ve got another new episode for you with Deborah Ciardo owner of La Strada Food Truck based out of Potomac, Maryland. Deborah is someone that has followed her life-long passion for food and Italian culture and transformed that into her business for the past 2+ years. In today’s interview, Deborah shares how she became interested in Italian culture and cooking at a very early age growing up in Illinois. Although she grew up in the Midwest, Deborah’s grandparents both grew up in Italy. In addition to her heritage, there were a series of life events that led Deborah down a path to discovering more about Italian culture, the language, and ultimately living in the country for years. Some might say Deborah’s journey to owning an Italian food truck was fate, but we’ll let you decide after listening to the interview! Learn how Deborah’s family history played a significant role in the food truck she would later start. How operating a food truck has allowed Deborah the flexibility to operate her business during the summer months in the United States and travel to Italy during the winter months or off season. How to create a one-of-a-kind menu that doesn’t scare people away. The importance of joining and connecting with members of your local food truck association. 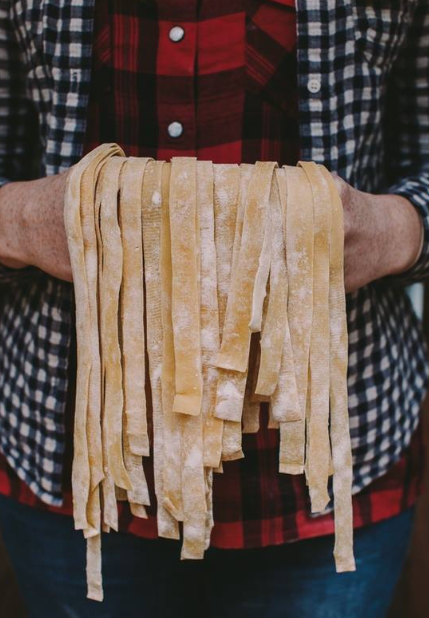 How you can turn your passion for cooking and Italian culture into a business. The reasons Deborah includes all the ingredients from each item on her menu. Why Deborah is happy she opted for a upfitted 23 foot, 1998 FedEx truck for her Italian kitchen. How watching Julia Child, to operating a catering business, to teaching cooking classes all helped Deborah succeed on a food truck. At a certain point, I decided to get a food truck. It was like the only way I could be my own boss. I did not want to have a restaurant and I frankly I couldn’t afford to open a whole restaurant without getting a whole bunch of financing. – Deborah Ciardo on making the decision to start a business. The first year I learned so many things about what you have to do to have a food truck. It’s really hard psychical labor and since I don’t have a partner it’s like a million things you have to remember every day. – Deborah Ciardo on the first 12 months in business. I love not having to answer to anybody else and I like being able to make my own schedule. – Ciardo on the advantages of operating mobile Italian eatery. I think the biggest problem with having a food truck is getting good employees. – Ciardo on the challenges of operating a mobile food business. I drive a Volkswagen Beatle and I’ve had to learn how to drive a 23 foot long truck. – Ciardo on things you learn when operating a food truck. It just seemed like none of them had the right grill. They didn’t have the right refrigerator in the right place. It just seemed like it was hard to find something for sale that really suited my needs. – Ciardo on finding a truck that fit her specific needs as an Italian mobile kitchen. 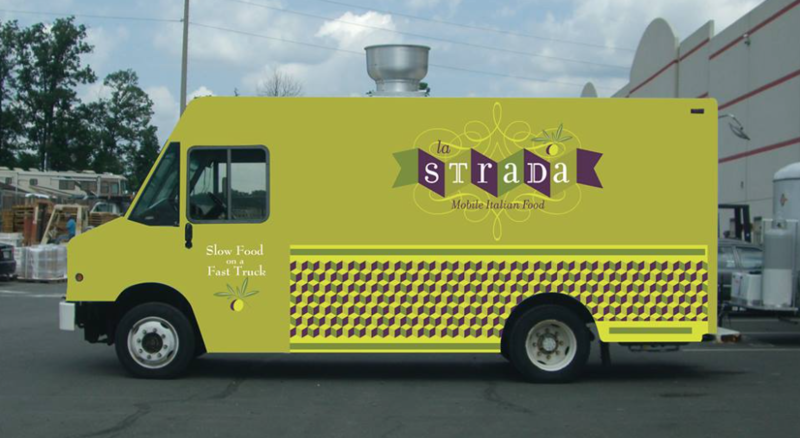 La Strada Food Truck – This is the official website of the La Strada Food Truck. La Strada is Italian for “The Street.” Learn more about Deborah’s menu items and where she’ll be located next here. East Coast Mobile Business Launch Pad – This is where today’s featured guest purchased her food truck. As mentioned in today’s episode, Deborah has been extremely happy with the results of her vehicle so far after over 2 years of being in business. Montgomery County Food Truck Association – This organization has been extremely important to Deborah in getting her business off the ground. Deborah recommends joining and getting involved in your local food truck association no matter where you live. According to Deborah, over half her business comes through this association. Montgomery County DMV Food Truck Association – Here you’ll find a list of resources and outline of all the forms and permits you’ll need to operate a food truck from a legal perspective. Survey Results: How Much Income Does an Ice Cream Truck Driver Make Per Day?